Murad Djuraev spent more than 20 years of his life in prison on politically-motivated charges. We urge authorities to ensure justice for former prisoners of conscience. The Norwegian Helsinki Committee (NHC), together with Association for Human Rights in Central Asia (AHRCA), International Partnership for Human Rights (IPHR) and the Uzbekistan-based NGO Restoration of Justice, call for the posthumous rehabilitation of former Member of Parliament Murad Djuraev, on the anniversary of his death. Murad Djuraev spent more than 20 years of his life in prison on politically-motivated charges and died on 4 December 2017, after being released on health grounds. The organizations also urge the Uzbekistani authorities to ensure justice for former prisoners of conscience like Murad Djuraev who were convicted in unfair trials, and ensure accountability for past abuses. We call on the authorities to facilitate access of Murad Djuraev’s relatives to the court sentences against him and to give them the opportunity to rapidly appeal the sentence imposed on him, and thus clear his name. 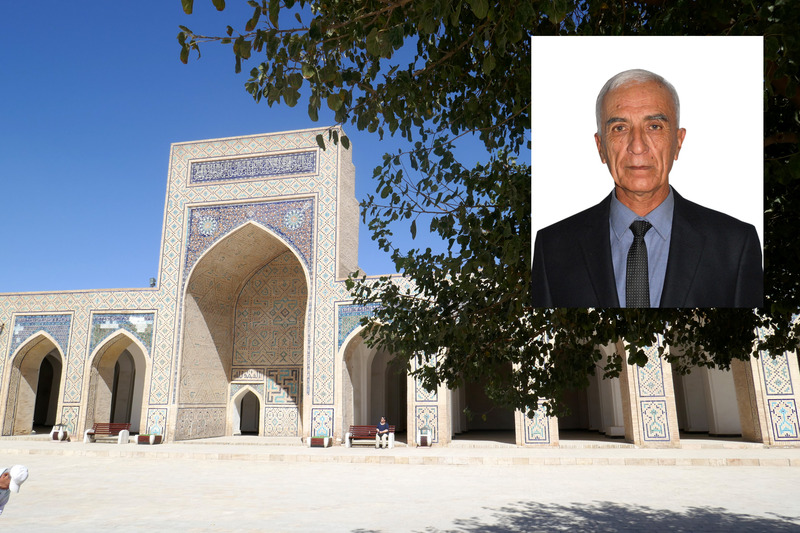 Murad Djuraev worked as chairman of the executive committee of the city council of Mubarek (in the Qashgardaryo Region of Uzbekistan, near Bukhara), before becoming a Member of Parliament in 1991- 1992. He fell out of favour with President Islam Karimov after he was the first Uzbekistani official to dissolve the Communist Party committee in his city after the Soviet Union collapsed. He believed that only with the active participation of civil society would the abolition of child labor in the cotton sector be achieved in Uzbekistan and highlighted the need for accessible education, as well as about the role of political opposition in political processes. His critical speeches in parliament and his support of the political opposition put him at risk of reprisals and he escaped to Kazakhstan, where he lived in hiding. On 18 September 1994, Murad Djuraev was abducted in Almaty and subsequently held in the prison of the National Security Services in Uzbekistan, where he was subjected to torture and threats of reprisals against his relatives. He was charged with committing especially grave crimes, including “treason”, “conspiracy to seize power” and “calling for the violent overthrow of the constitutional order or for violating the territorial integrity of the Republic of Uzbekistan”. On 31 May 1995, the Supreme Court sentenced him to 12 years in prison, but the term was reduced to nine years under amnesty. Subsequently, his prison sentence was extended no less than four times for “disobeying prison rules” (Article 221 of the Criminal Code of Uzbekistan, in 2004, 2006, 2009 and 2012. He was, for example, accused of “badly cleaning the carrots” in the prison kitchen or “not taking his shoes off when entering the prison quarters”. Each time his sentence was extended just as his term of imprisonment was to end or on the eve of an amnesty announcement. Following international pressure, he was released in November 2015 in very poor health. With great difficulty, he received a passport and permission to travel abroad for treatment, but died before he was able to leave for a planned operation in Germany. He died on 4 December 2017 at the age of 65. The process of reviewing the case of Murad Djuraev and other previously convicted civil society activists and prominent public and political figures has not yet begun in Uzbekistan. Even after his death, Murad Djuraev’s children continue to experience discrimination with access to education and employment. His son Abror Djuraev, who works at the hosiery factory at the Mubarek Gas Processing Plant in the Kashkadarya region, is openly referred to as an “enemy of the people” by the deputy director for agricultural work and lost his job last September. Currently, thousands of prisoners are serving prison sentences imposed under the previous and the current regime after being convicted in unfair trials for serious crimes such as “violating the constitutional order” (Article 159 of the Criminal Code), “producing or distributing materials that threaten public security and order” (Article 244-1) or “establishing, leading or participating in religious extremist, separatist, fundamentalist or other prohibited organizations” (Article 244-2). These articles that are vaguely worded and allow for broad interpretation, have in many cases been misused against critics or perceived government critics, such as Murad Djuraev. Under President Shavkat Mirziyoyev, over two dozen civil society activists and political dissidents have been released from unjust imprisonment, decisions which have been welcomed by the international community. However, not one of them has been fully rehabilitated and those responsible for their persecution have not been brought to justice. Many suffered torture and other ill- treatment in detention as they were forced to provide false confessions. Yet, the perpetrators have escaped justice and the victims and their families have not received compensation and full redress. Read article "Apply for Small Grants Central Asia"
Read article "Uzbekistan welcomes human rights"
Read article "Some hope and much despair: Political prisoners in Central Asia"
Located in the very heart of Central Asia, Uzbekistan has developed its own unique culture that separates it from the surrounding nomadic nations. Read article "Trump: Focus on Rights as Uzbek Leader Visits"
The Norwegian Helsinki Committee bases its work on the Helsinki Declaration, which states that respect for human rights is crucial for maintaining peace and cooperation between states.